A fingerprint sensor on a smartphone is somewhat reserved to the mid-ranged to high-end offerings in the spectrum, and you most like won't see the feature on entry-level smartphones. 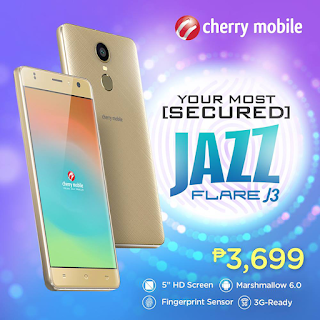 Apparently, Cherry Mobile wants to change all that as it announces on its social media channels the Flare J3, a fingerprint sensor-equipped smartphone that doesn't come with a premium price tag. The Cherry Mobile Flare J3 looks to be a budget-oriented smartphone with its hardware specs. First off, it comes equipped with a MediaTek MT6580 chipset with a 1.3 GHz quad core CPU as well as Mali 400 GPU. The display is at 5 inches with an HD resolution. It also features 1GB of RAM, and its internal storage is at 8GB, which can be expanded up to 64GB via a micro SD card slot. For its camera, there's an 8MP primary shooter with an LED flash as well as a 5MP front-facing shooter that also comes with an LED flash of its own. Its battery is at 1,900mAh, and it will run Android 6.0 Marshmallow out of the box. However, LTE connectivity seems to be missing. 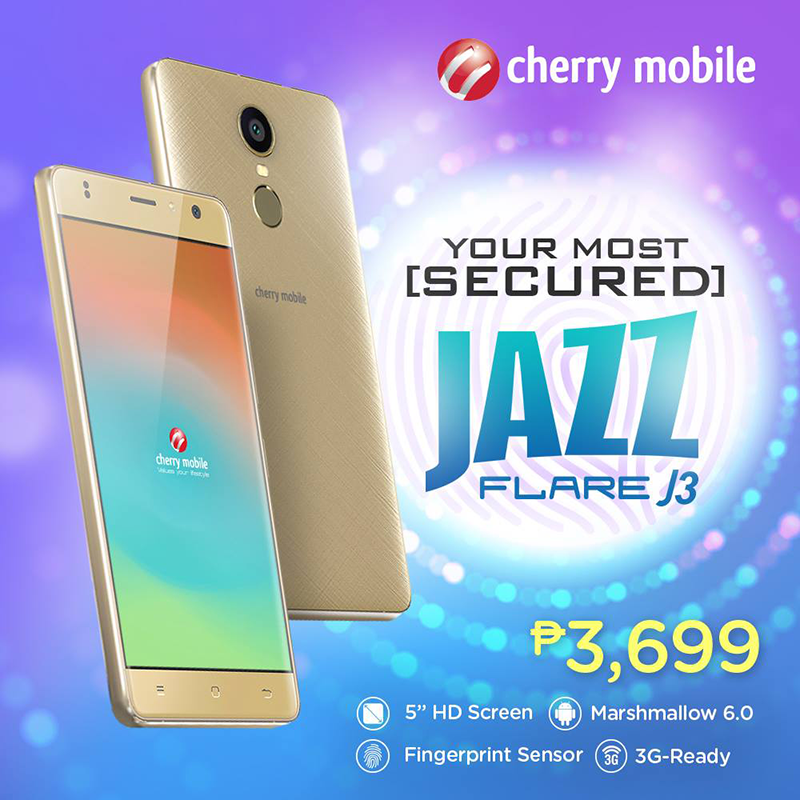 The Cherry Mobile Flare J3 is priced at Php3,699, making it easily the cheapest handset that boasts the feature.